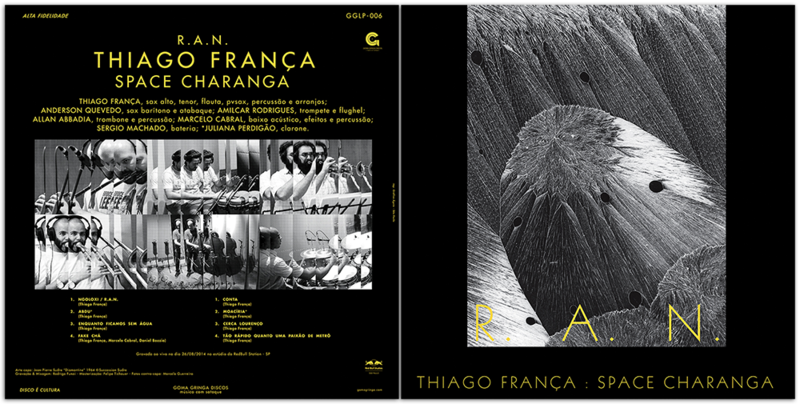 les mains noires: Y15W36 .THIAGO FRANÇA : SPACE CHARANGA - R.A.N. Y15W36 .THIAGO FRANÇA : SPACE CHARANGA - R.A.N. Thiago França’s new record has just been released, and once more it sounds amazing! Record live within’ a day, R.A.N. - Rhythm And Noise - is a heavy, deep and percussive Jazz Lp! Must hear! It is not enough to know only one Thiago França's project to decipher his musical personality - still the flagship, the band Metá Metá, synthesizes a bit the spirit. 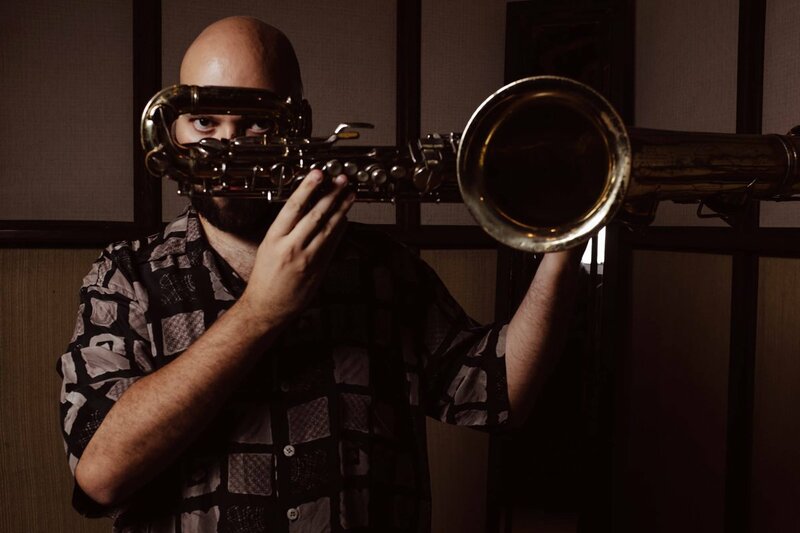 He played on the records and was a prominent musician in Criolo's stage band; integrates the experimental jazz trio Marginals; heads Sambanzo; he is responsible for the pearl "Malagueta, Perus and Bacanaço”; his flesh is carnival as the Espetacular Charanga do França makes clear. And what else? Well, now he presents to us the Space Charanga! "Space is the place", so says Sun Ra in the music-synthesis of a Jazz movement fully opened to psychedelia, to chaos, to Rock and Funk influences, to the afro-futurism, et cetera and so on. The motto inspires Thiago in this project. Yet, his way to make jazz is thoroughly Brazilian - not only in the zip code but throughout aesthetics. Moacir Santos is an explicit reference in the stunning "Moacíria" and a certain sanguineous samba swing runs through the veins of the work, from the springiness of Serginho Machado's drumsticks to the gafieira scheme that guide some of the painstaking brass arrangements. Chaos leads the sextet in this work, but by no means cohesion is missing - chaos is the cohesion. "Ngoloxi / R.A.N.” is a composition in which the four horns seem to bump as unguided bats in a dark room. Any resemblance with John Coltrane’s “Ascension" dynamics is no mere coincidence but yes inspiration. “Fakechá” sweats Reggae. "Abdu" has a flavor of the 70's Blue Note jazz. 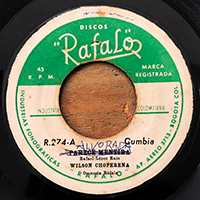 “Conta”, “Cerca Lourenço” and the vignettes “Tão Rápido Quanto Uma Paixão de Metrô” and “Enquanto Ficamos Sem Água” rounds off the repertoire of this record, which already has its "space" in the history of Brazilian jazz. Believe it. Especially for this record, Goma Gringa's team has rescued one more cover design, inspired by the 60s English Jazz covers, which has the characteristics of being laminated on the front and to have the flaps glued over the back cover. Printed in two colors - black and gold - the result is singular, Goma Gringa's graphic signature. The cover artwork, from 1964, is one of the images from the series "Diamantine" by Jean-Pierre Sudre, French photograph artist. He performed a thorough technical research on photographic prints using unusual materials, emulsions and rare salts. 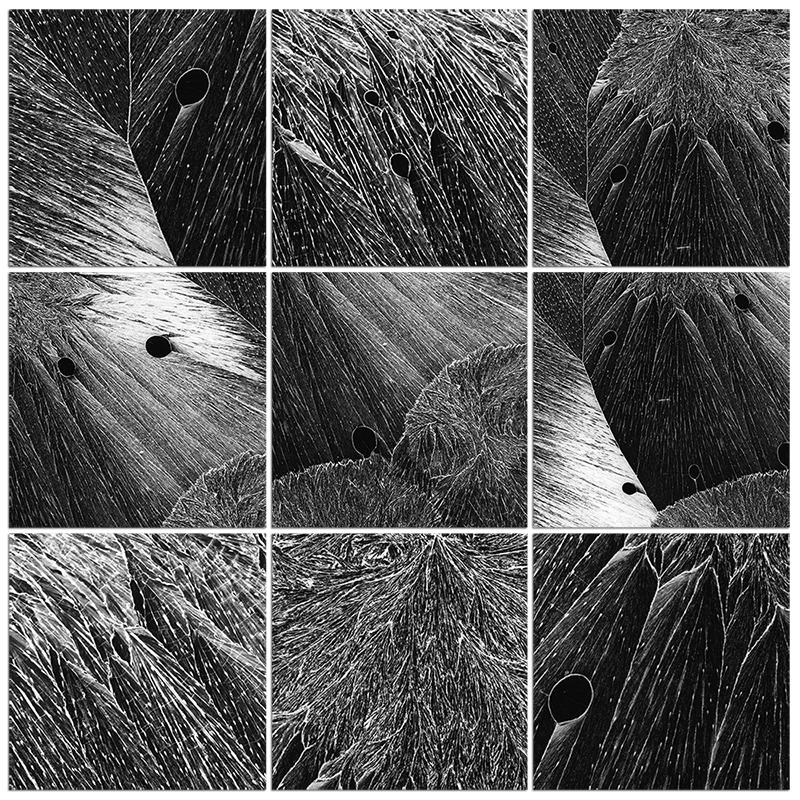 Thus, the series "Diamantine" is the result of several crystallizations of chemicals on a glass slide. This same card is used again as a photograph negative and printed on paper. Only 300 copies of it has been made! Be quick to grab yours HERE! You can also officially download the full LP on Thiago's site, HERE.